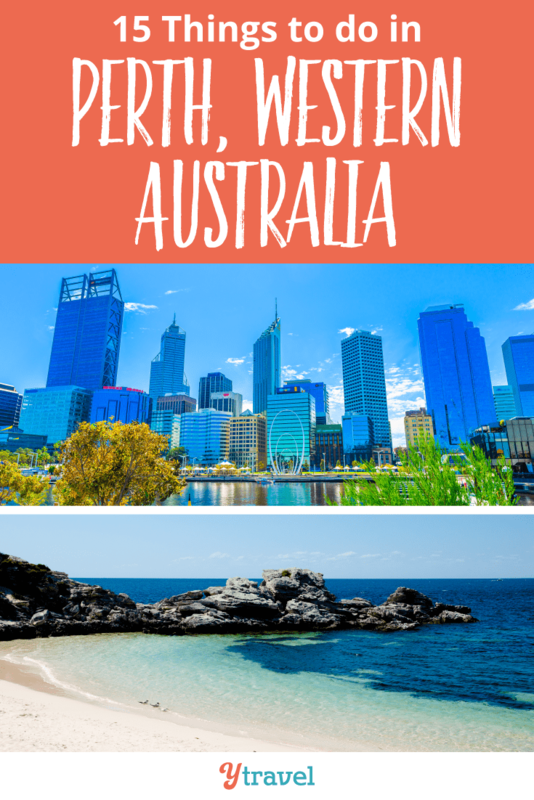 We’ve been telling you how much we loved our six month trip through Western Australia and that you need to head west and not just stick to the east coast of Oz. And that goes for Perth too, the capital city of WA. It’s a young city that continues to evolve. 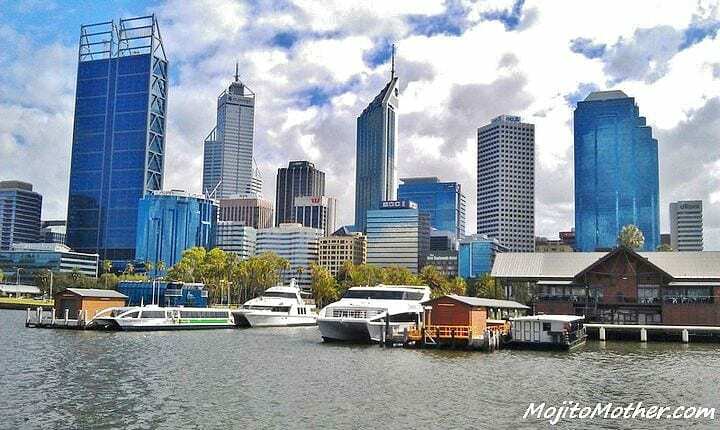 The Perth city centre has been revitalised over the years adding more cafes, restaurants and especially the small bar scene, and the monster waterfront development, which looks like a mini-version of Darling Harbour in Sydney, is sure to add a lot to the city. 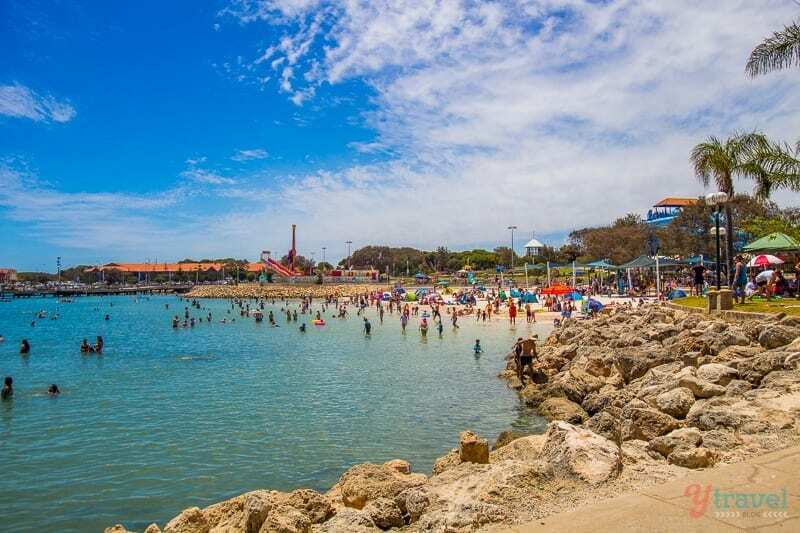 Perth has an attractive setting on the Swan River and nearby to several stunning beaches that are a lot less crowded than its east coast counterparts, which also adds tremendous appeal. Throw in the mad AFL sporting culture, which I missed out on seeing a game unfortunately, and cricket at the famed WACA and Perth makes for a great short break, or for a base to have extended travel in Western Australia. We didn’t have all that long in the city itself, but I’m sure we’ll be back, and below is our top picks for things to do in Perth with kids. 6. Hit the beaches – in the MORNING! 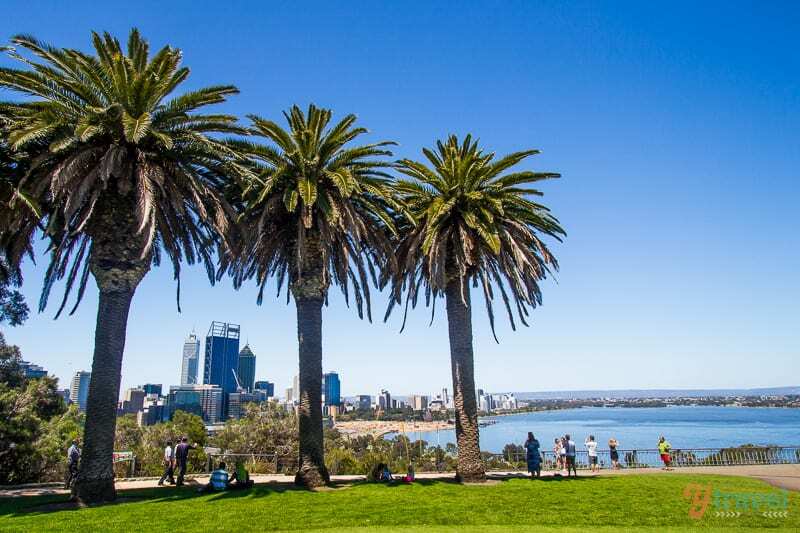 Kings Park has a stunning location overlooking the Swan River and offers sweeping views of the Perth city skyline. The park covers more than 400 hectares and is the largest inner city park in the southern hemisphere, and is even larger than New York’s Central Park. Walk amongst the treetops on the elevated bridge, wander the pathways, the botanical gardens, the open grassy areas and picnic amongst the gum trees. F0r eats and drinks there’s also a kiosk, the Botanical Cafe and Fraser’s Restaurant. 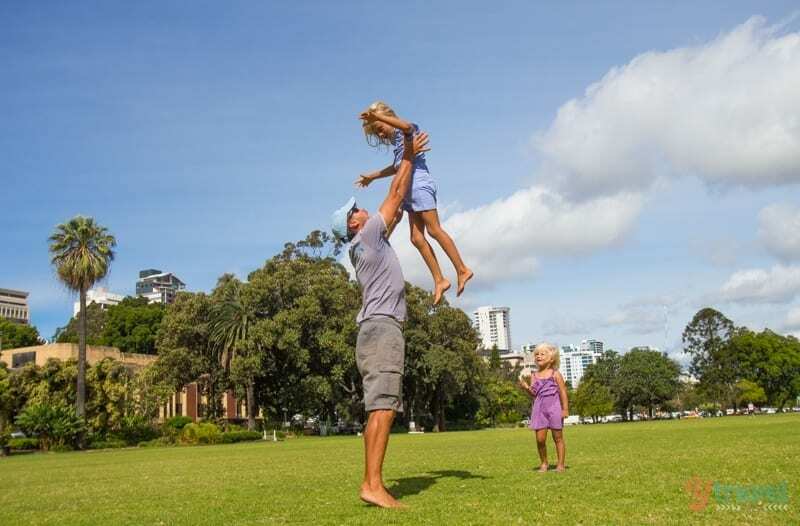 Kings Park also has several large playgrounds for the kids to enjoy with cafes attached for that essential takeaway coffee whilst they play. It’s also free, which makes it one of the best things to do in Perth. Perth’s sunsets are legendary. If you haven’t seen the sun set over the ocean, Western Australia is where it’s at. 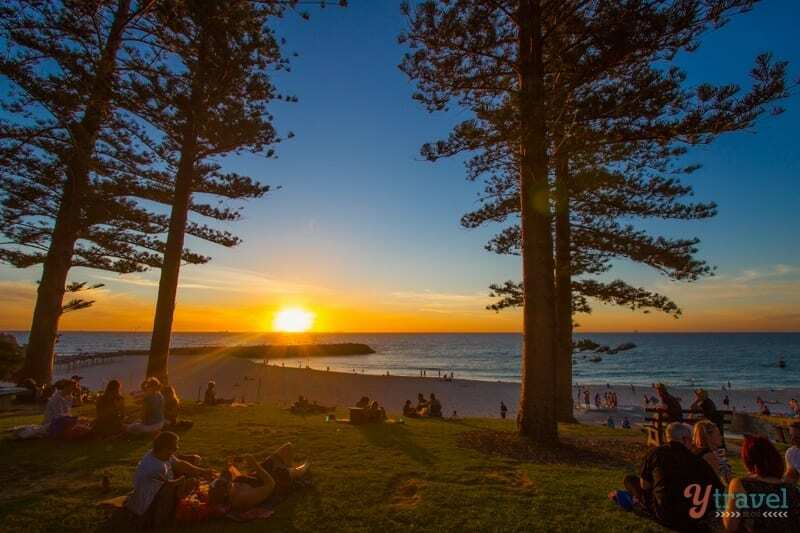 Cottesloe is a beach-side suburb about a 15-minute drive from the Perth CBD and is one of the best places to watch the sun set over the Indian Ocean. Cottesloe crystal clear waters make it a popular place for swimming, snorkeling, and surfing and a great spot for families to have picnics under shady Norfolk Pines. It’s definitely one of the top things to do in Perth with kids. Perth is a city made for walking. It’s flat, has wide streets and footpaths, and one of the best ways to start a visit to any new destination is with a walking tour to get your bearings and insider tips from a knowledgeable local. I walked Perth with two feet and a heartbeat as we strolled through the city streets and laneways of the CBD learning about the history, culture, heritage, and colourful past of the city and experienced attractions on and off the tourist trail. They also do a small bar tour every Tuesday, Wednesday, Thursday, and Saturday. Book your spot on a walking tour of Perth here. Make the trip from Perth down to Fremantle via a relaxing cruise on the Swan River. You’ll enjoy spectacular views of the city skyline, the many sailing boats, and marvel at some of the most expensive real estate in the country – the mining boom has treated Perth well. Consider a cruise at night when the glittering city lights are reflected on the river. Book your Swan River cruise here. Rottnest Island is incredible. Located 18 kilometres off the coast it’s a premier island getaway with over 60 picturesque beaches and bays. Rotto, as the locals call it, is best explored by bicycle, there are no cars on the island making it a relaxing and enjoyable experience for people of all ages. Other activities on the island include tennis, golf, fishing, swimming, snorkeling, kayaking, and diving. Take the short ferry trip over. Our favourite beaches are the Basin and Pinky Beach. And get up close to the cute little marsupial the quokka, found only in Western Australia. Get your combo ferry and bike rental tickets here. Perth has some excellent city beaches such as Scarborough, Cottesloe, City Beach, Trigg, Sorento, and Leighton, but Perth does get a little windy in the afternoons. By 2pm, the famous Fremantle Doctor breeze has rolled in off the Indian Ocean making your beach day somewhat less pleasant. So if you’re heading to one of Perth’s beautiful beaches, make it a morning event, unless you’re going late in the afternoon to take in one of the magical sunsets. I’m still trying to figure out if the historic seaside port of Fremantle is a suburb of Perth or its own city? Help me out! But I do know it makes for a great day trip. 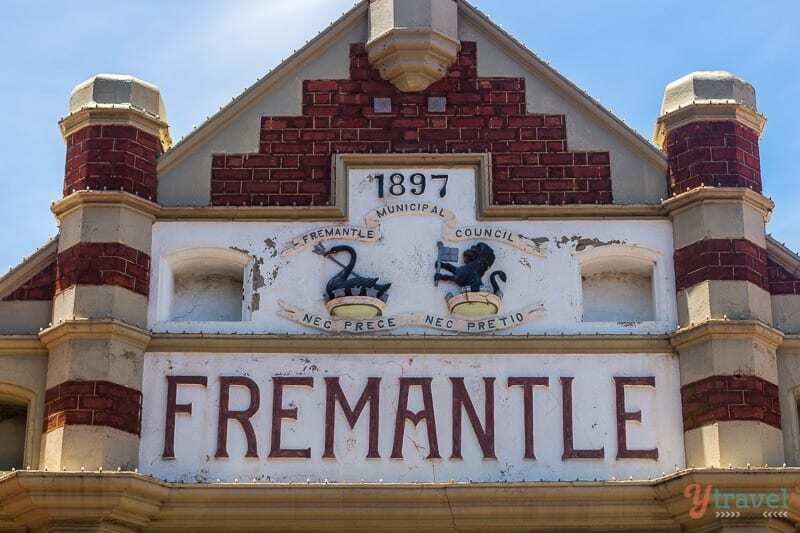 Freo” is located just 30 minutes from downtown Perth and is dotted with cafes, bars, seafood restaurants and is known as the ‘world’s best-preserved example of a 19th-century port streetscape’ with heritage buildings and a fascinating convict and maritime history. Grab a coffee on Cappuccino Strip, wander the markets, visit the old prison, and don’t miss the Little Creatures Brewery on the water for delicious wood-fired pizzas and great craft beer. I haven’t been to a performance at the Perth Concert Hall myself, but I’ve been told several times, and have read, that the acoustics are incredible, even better than at the Sydney Opera House. The Greenhouse, located on St George’s Terrace is one of Perth’s hot restaurants. First of all, it’s a very interesting building architecturally and the concept is about operating better places for people and the whole place is geared toward sustainability. 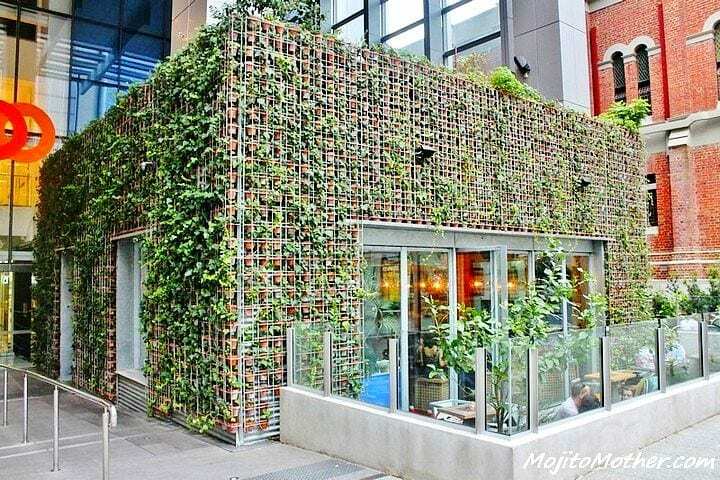 The exterior of the building is clad in corrugated iron covered by a vertical garden with about 4,000 terracotta pots filled with ivy and strawberry plants. It has 420 straw bales in its walls and ceiling, a rooftop garden that provides produce for the kitchen and bar, and recycled furniture throughout. The quality of the food is amazing and varied, especially loved the wood fired pizza. Perth is the sunny city and enjoys more hours of sunshine than any other city in Australia: 3,000 hours a year and 8.8 hours a day. Average summer temperatures hover around the 30 degree celsius mark. Perth offers a relaxing and easy going lifestyle surrounded by the Swan River, Kings Park, and endless stretches of gorgeous beaches. Compared to Australia’s other major cities of Sydney and Melbourne, Perth has a lot less people and a slower pace of life. Although peak hour traffic can be heavy and starts earlier than normal, around 2pm which coincides with the 5pm knock off work time on the east coast of Australia. Something to be aware of. Perth has experienced economic and social growth with many new developments and cultural precincts emerging. In particular, the small bar scene and new restaurants. In the CBD Bars worth considering are Helvetica and laneway gem Andaluz. Join the cool crowd at The Aviary or the vintage feel at Hula Bula. Also in the city is 399 Bar. In the hip neighbourhood of Northbridge there’s Ezra Pound Bar and The Bird Wine Bar. Hillarys is an impressive Boat Harbour development with a lot going on. There’s numerous attractions to keep the kids happy with the swimming beach, water slides, playgrounds, trampolines and mini-golf. For us parents there’s a range of cafes, shops, restaurants, cycle paths plus all the boating and water activities. Spend an hour or a whole day and watch the sun go down over the ocean. Duende is a tapas-style restaurant occupying a corner block in the suburb of Leederville that left a lasting memory in my mouth. And the modern decor brings with it a good vibe along with the nice range of Mediterranean influenced dishes. Their motto is “everyday for everyone” and they feature an all day breakfast/brunch option till 4pm. Some of Duende’s classics include grilled tapas, bar bites, deli sliced meats, cheeses and desserts, and lots of vegetarian choices. You’ll see lots of bikers and walkers in Perth, and why not with the climate and scenery on offer year round. The communities of Bassendean, Bayswater and Belmont boasts over 28 kilometres of river foreshore. Walkers can stroll along the Swan River foreshore and cyclists you can even take your bike on a train as a number of bike rides connect from train stations along the Midland Rail Line. 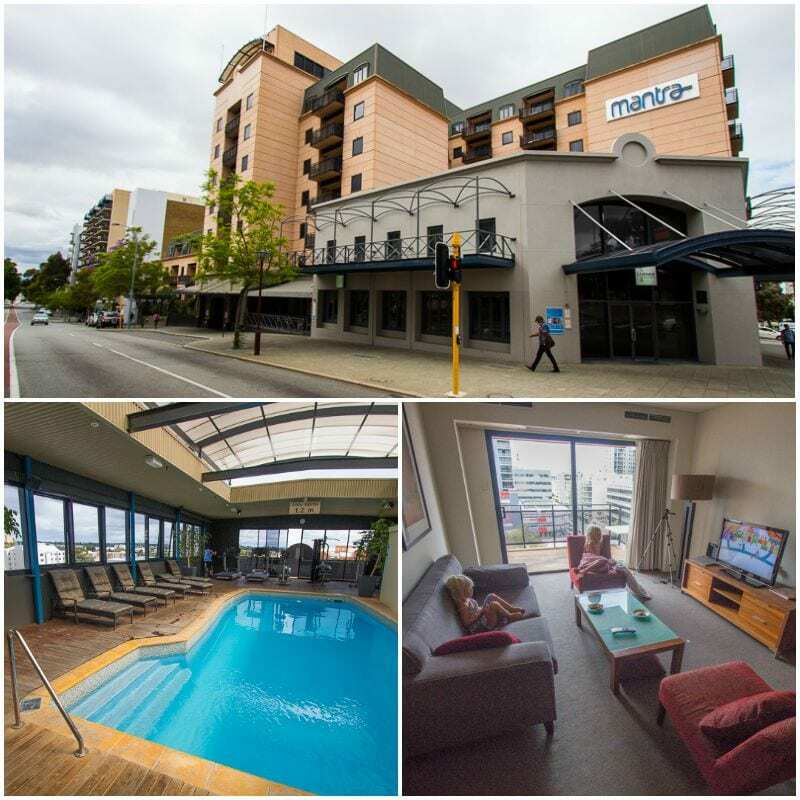 We stayed in a two bedroom apartment at the Mantra on Hay Street which was conveniently located to the CBD, and the WACA if you’re in town for a cricket match. Just a 10-minute walk and we were at the Hay Street Mall and everything the Perth city centre has to offer. As a family we prefer to stay in apartments in city centres to have access to a full-kitchen, laundry facilities and separate bedrooms for the kids. And I must say the Mantra was a lovely upgrade from our camper trailer we occupied on our road trip around Australia at the time, just quietly! The Mantra on Hay has one, two, and three bed apartments plus hotel rooms. Booking.com has over 600 properties in Perth. You get free cancellation on most rooms and a best price guarantee. Check out these awesome tours of Perth with our partner Viator. What can you add to this list of things to do in Perth? Please share in the comments below. The Swan Valley is also great day out, lots of wineries, breweries plus heaps of activities for the kids. Thanks for sharing Anne. As far as wineries go we spent most of our time in Margaret River. But I’d like to check out those breweries you mention! I miss Perth so much. Rottnest Island is amazing! Rottnest is INCREDIBLE. A must visit! Having grown up in Perth I feel very lucky to call it home. Cottesloe beach is stunning; there’s nothing better than watching the sun go down on a lovely summer’s evening. AQWA in Hillary’s is nice, as are some of the national parks in the surrounding area. Hey Aaron, cheers for the AQWA recommendation. And you’ve got a great backyard over there! And what’s t a great airbnb, lodge, hotel to stay? I don’t know anything about Perth yet but we are planning our trip in January, any recommendations for a beautiful stay incl parking? I haven’t made it to WA at all yet- clearly a failing on my part. If Tigers finish top 4 and we are going to Perth for the first week of finals I’m definitely considering making the trip over for that and scheduling a little bit of sightseeing in. But that is probably me being hopeful! 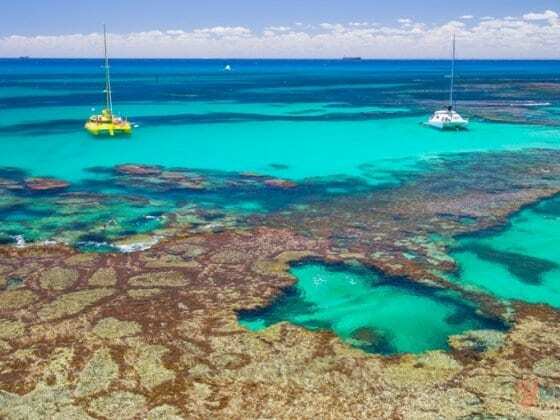 Rottnest Island looks especially amazing! 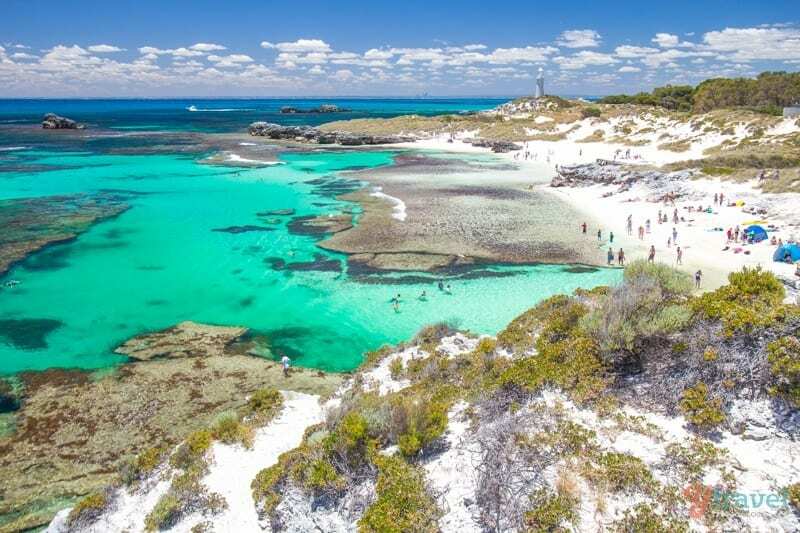 Yep, Rottnest is one of the best places in Australia, period, let alone in Perth! Perth was my favourite city when I drove around Australia 20 years ago. Hoping to return in another couple of years… this time by bicycle. I will be sure to use this list when I do! Wow. 20 years ago. I’m sure you will notice some growth. And that’s a BIG bike ride you have planned – awesome! Thanks for reminding me of some of the things that I just forget to get out and do in my ‘home town’. Perth is a great city for being outdoors, like you say, and for me the best bit is just being able to get on my bike and cycle. There are so many cycle paths with great bars and cafes to stop at along the way 😉 Hope you guys come back to explore more one day soon. Our visit to Perth was too short Jo and would love to explore more on bike and foot. And have coffees and wine with you guys!! Perth, a lovely, cool and peaceful city.. yea, Kings Park, the best relaxing place. so lovely to stroll around the midst of gardens abound with all types of flowers while having d glimpse of Perth skylines.. The cruise at the Swan river, so exciting while having a little sip of different wines and looking at all wonderful structural designs alongside and getting a know of that luxurious residential bldg. of d richest Filipina woman married to an Australian in Perth. taken an enjoyable train ride from Perth to Bunbury City in Australind? been here 2001 yet…that was quite a good service…. Thanks for the additional tips Maria! Watch dolphins at mandurah . Enjoy a coffee at serpentine dam cafe while watching blue wrens and 28,s ( a parot native to W.A.) that will eat out of your hand . See the stromalites ( living fossils) at lake clifton and at lake richmond . Take a walk round point peron . Take a walk along our longest jetty at bussleton . Appreciate the extra advice Kate. So much to do in and around the city! You have forgotten to visit another beautiful island in Perth. I think Penguin Island is wonderful, also White man Park . Shame you didn’t mention Rockingham. North facing beach so protected from afternoon winds and penguins island is a must, but for the full experience swim with the wild dolphins. Hi Peter. I only wrote about places and activities I have personally done. Thanks for adding that! These are some of our families favourite places, besides those already mentioned. There’s many more I can’t think of. Great tips Dale. Appreciate you taking the time to share. We have to come back to Perth for longer! A “Pinnacles Magic” tour with Travel Western Australia is a great day out. 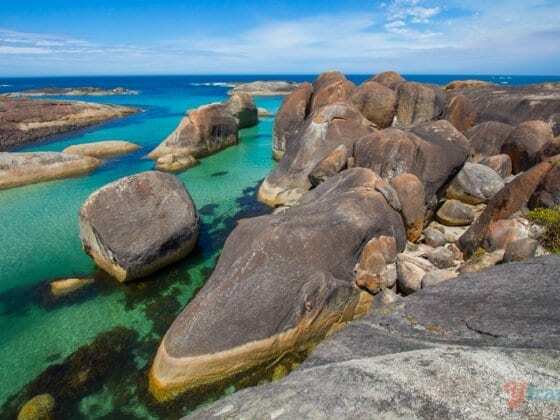 You get to taste some delicious Australian foods for morning tea in Yanchep National Park after seeing kangaroos and koalas; go sand boarding down huge white sand dunes and; stroll through the magical Pinnacles Desert. Sounds like a winner Richard! Arrived in Perth last October at the start of a trip by car, train and ‘plane to Rockhampton in Queensland visiting many Aussie friends I’d met during my travels around the world. Took a week travelling to Albany then back to Perth via the coast. Rather than satisfy my need to see the SW I left Perth determined to return and explore more fully. One needs to realise that the SW corner is still a huge area with so much to to hold you. Loved it all, even though I did it solo. I do miss my Green and Gold Lover. Just got back last month from Perth.The view from King’s Park is stunning. So much to see and do around Perth. Its such a beautiful place to live and you’ve reminded me about all the great things that can be done here. Diving here aint bad either! Great article Craig! Been looking forward to visiting Perth in a couple of months and this just made it easy for me when it comes to what places I should go to. Thanks! This is a good list – Perth is increasingly getting more attractions making it a great place to visit and live! I find that over the summer months in particular, there is so much to see and do with regular activities hosted by the different cities, and the various festivals held as well. Would also recommend the Swan Valley, Fremantle Prison, Rottnest Island and Victoria Park cafe strip to visit as well. Amazing beaches, fantastic cafes and small bars, plus new attractions starting up all the time… Perth, you’re alright! 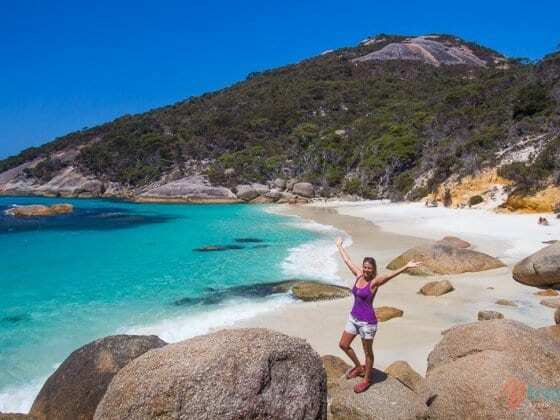 Travelers who love nature would instantly fall in love with Australia for its pristine beaches and vast coastline. 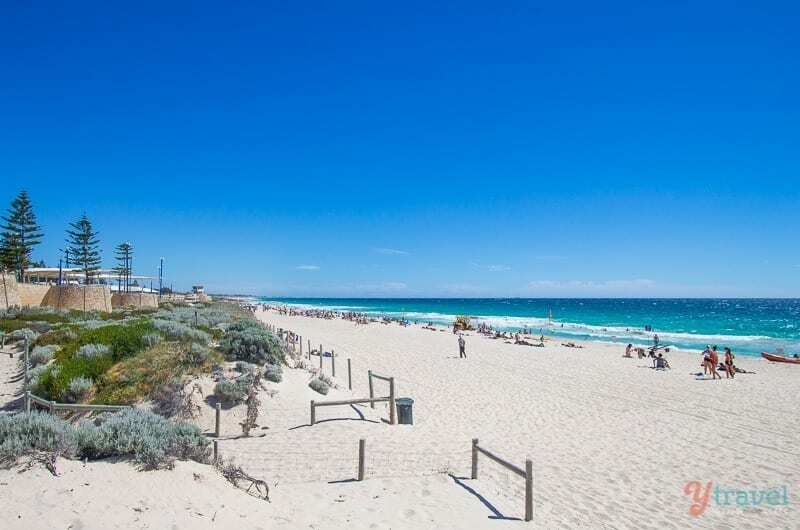 Some of the Australian beaches that are a must visit are the Trigg Beach, Cottesloe Beach, and Scarborough Beach. The weather in Perth when I visit. Is it hot during the day n cooling during the evening. What type of clothing is appropriate up pack god my trip. Are there any places of interest that you would recommend for our trip. It depends on what time of year you visit. Summer will be hot day and night. Winters are mild but that depends on what you’re used to for winter. 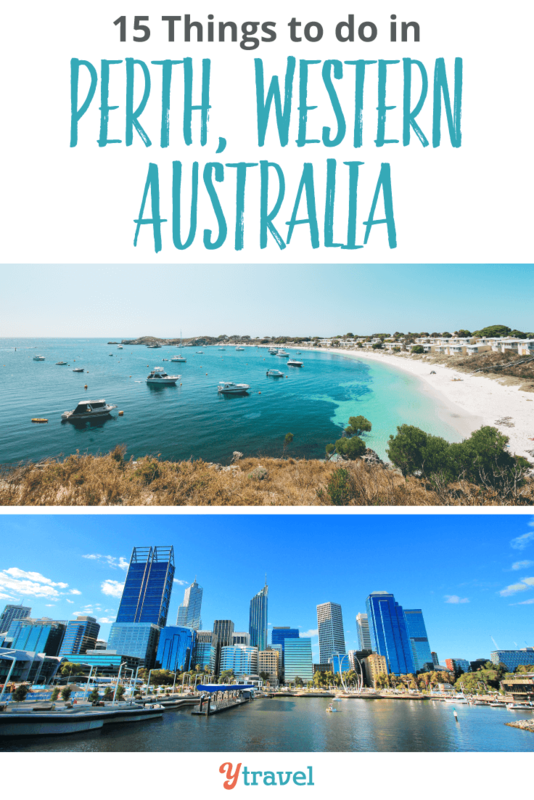 This post will give you ideas for your visit or you can search Perth or Western Australia in the search bar to find specific things you’re looking for as it’s a big area with loads to explore.